Looking for major impact at your next event? 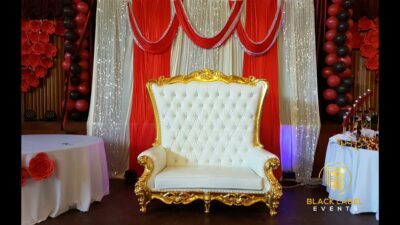 This throne chair can certainly achieve this. 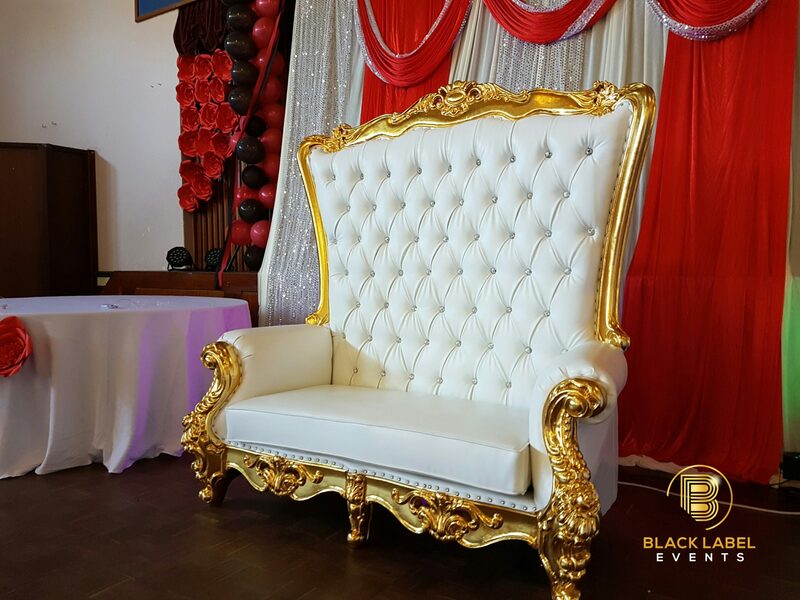 Covered in white leather with gold trim the chair is finished off perfectly with sparkling diamond buttons.